London, March 24: With the United Kingdom being thrown into a chaos following the second defeat of the Theresa May-proposed EU exit deal in the Parliament, UK Minister Philip Hammond said that a second referendum on Brexit now appears to be a possibility. On whether the country should be pushed into another poll on leaving the European Union, could be decided be the House of Commons by Monday. The Parliament would be convening on March 26 to explore the various alternatives to break away from the impasse created after the defeat of May's proposal in the Parliament. Tory Party insiders, while maintaining that the pressure is on the Prime Minister to change her stance, said the option of tabling the current version of the Exit Bill for a third consecutive time could not be ruled out. If the legislation is once again tabled for vote, May would require at least 75 MPs to change their stance, and vote in favour of her proposal. The possibility appears bleak, as the Opposition - which is eyeing to dethrone the PM - along with a section of her own party hardliners, are firm on not voting in favour of the current Brexit deal. If May's proposed legislation is not the solution, said Hammond, then three alternatives could be presented before the House: to remain with the EU, exit without a deal or ink a Canada-style free agreement pact. A decision needs to be taken before April 13 -- the "deadline" imposed by the European Union. A fourth option - a very "coherent proposition" - also exists, said Hammond, adding, that a second Brexit referendum could be agreed to by the Parliament if the standoff remains. 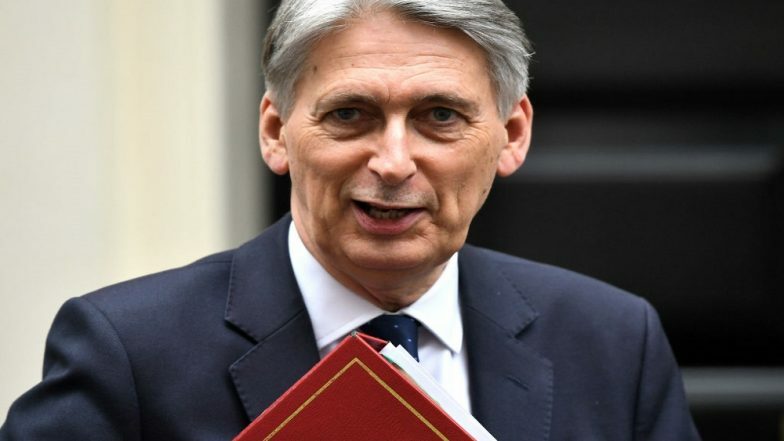 "I'm not sure that there's a majority in Parliament for a second referendum but it's a perfectly coherent proposition -- many people will be strongly opposed to it, but it's a coherent proposition and it deserves to be considered along with the other proposals," Hammond told Sky News. Meanwhile, the pressure continues to built on Prime Minister May to step down from her post as she is losing support even within her own party ranks on the manner she has handled the post-Brexit scenario. UK media reports claimed that disgruntled Tory lawmakers, along with a section of her Cabinet and Ministry, is plotting to give her an ultimatum to resign. Hammond, however, has backed May amid the turbulence. "This is not about the Prime Minister…changing Prime Ministers wouldn't help, changing the party of government wouldn't help," he said.